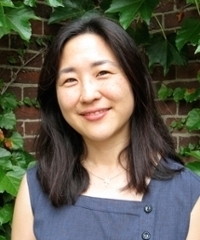 June Hwang specializes in twentieth-century literature, film, and culture, with an emphasis on the topics of German Jewish identity, questions of modernity, film theory, and critical theory. 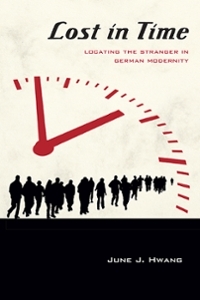 Her book Lost in Time: Locating the Stranger in German Modernity (Northwestern UP, 2014) explores discourses of timelessness in the works of central figures of German modernity, such as Walter Benjamin, Georg Simmel, Siegfried Kracauer, and Helmuth Plessner, as well as Alfred Döblin, Joseph Roth, and Hugo Bettauer. She argues that in the Weimar Republic the move toward a-historicization is itself a historical phenomenon, one that can be understood by examining the intersections of discourses about urban modernity, the stranger, and German Jewish identity. These intersections shed light on conceptions of German Jewish identity that rely on a negation of the specific and temporal as a way to legitimize a historical outsider position, creating a dynamic position that simultaneously challenges and acknowledges the limitations of an outsider's agency. Her current work includes a collection of essays that look at the relationship between minority identities, power, privilege, and subjectivity in relation to Holocaust Studies. Lost in Time: Locating the Stranger in German Modernity. Northwestern UP, 2014. "Alone in the City: Hugo Bettauer's Er und Sie." Seminar: A Journal of Germanic Studies, vol. 47, no. 5, Nov. 2011, pp. 559-77. U of Toronto P Journals, doi:0.3138/seminar.47.5.559. "Not All Who Wander Are Lost: Alfred Döblin's Reise in Polen﻿ [Journey to Poland, 1925]." Spatial Turns: Space, Place, and Mobility in German Literary and Visual Culture, edited by Jaimey Fisher and Barbara Mennel, Rodopi, 2010, pp. 255-74. Amsterdamer Beiträge zur neueren Germanistik 75. "Human Rights, Genocide, and Germans' Moral Campaigns in the World." Thirty-Ninth Annual German Studies Association Conference, 1-4 Oct. 2015, Washington, DC. "Documentation, Archive, and Representation in Documentary Films About the Third Reich." Fourth Bienniel German Jewish Studies Workshop, Feb. 2015, Duke U, Durham. "Rethinking Modernism After Cultural Studies." Thirty-Seventh Annual German Studies Association Conference, 3-6 Oct. 2013, Denver. "On the Positive Nature of Estrangement." Third Bienniel German Jewish Studies Workshop, 10-12 Feb. 2013, Duke U, Durham. "Making the Father Visible on Film: Ludin's Zwei oder Drei Dinge, die ich von ihm weiß." Perpetrators and the Construction of Public Memory of the NS-Zeit (Sponsored by the GSA Memory Studies Network). Thirty-Sixth Annual German Studies Association Conference, 4-7 Oct. 2012, Milwaukee. "Gen Osten Reisen und im Weste(r)n ankommen. Cowboys und Indianer im deutschen Kontext." Department of German Languages and Literature, Nov. 2011, Duke U, Durham. Invited lecture.